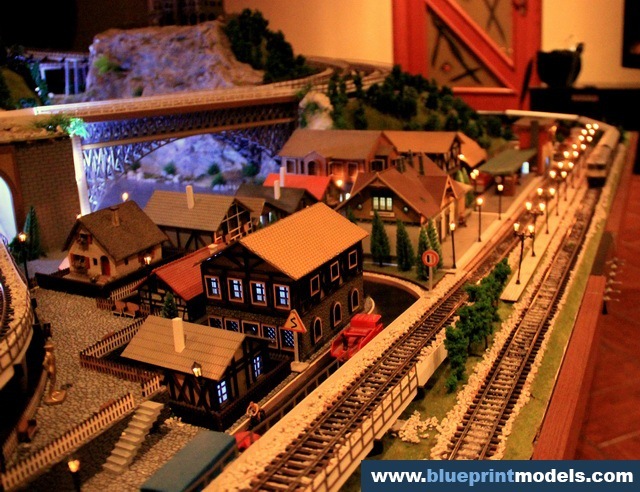 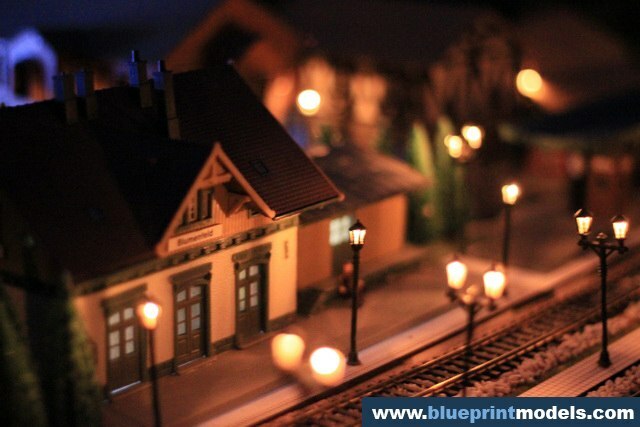 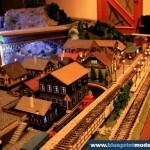 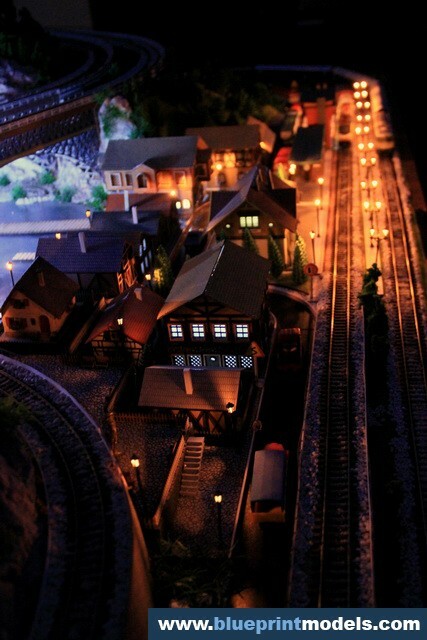 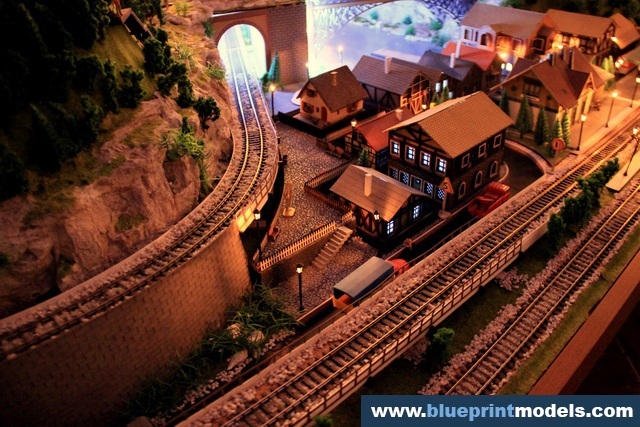 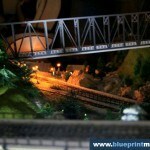 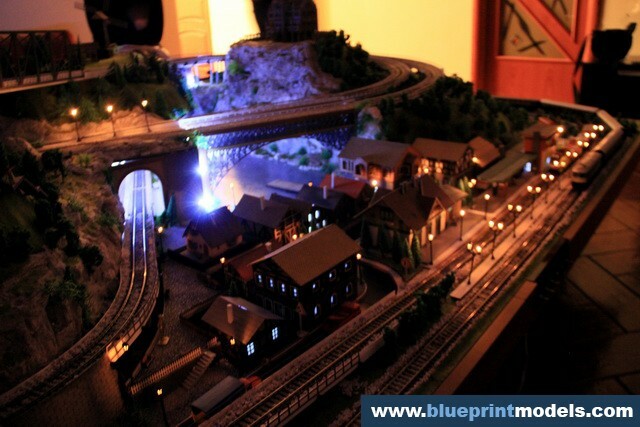 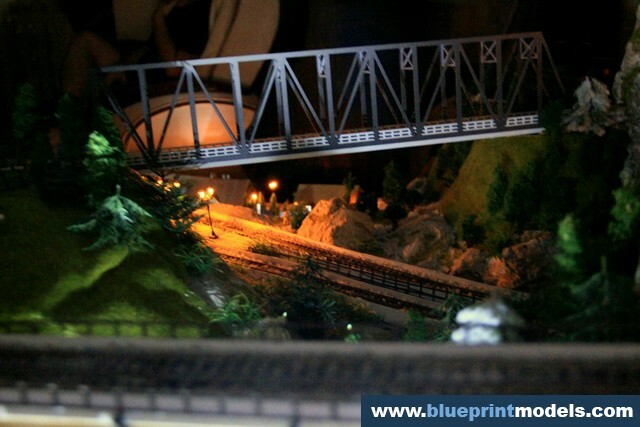 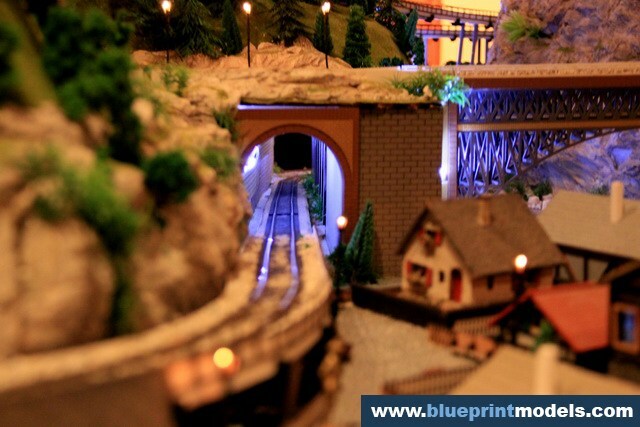 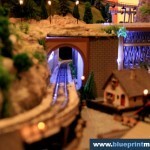 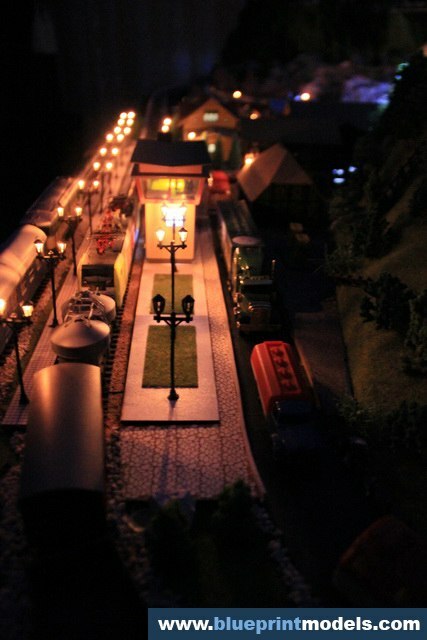 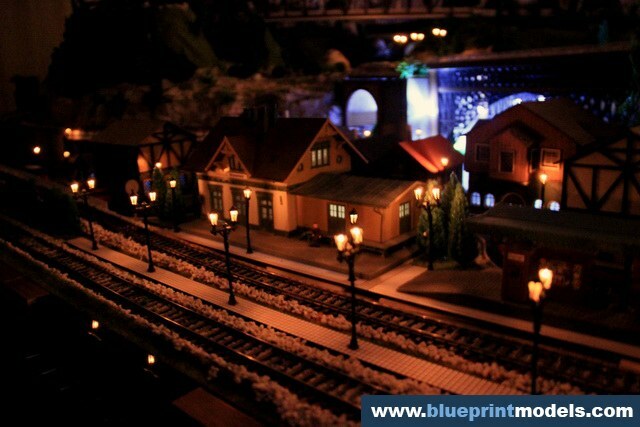 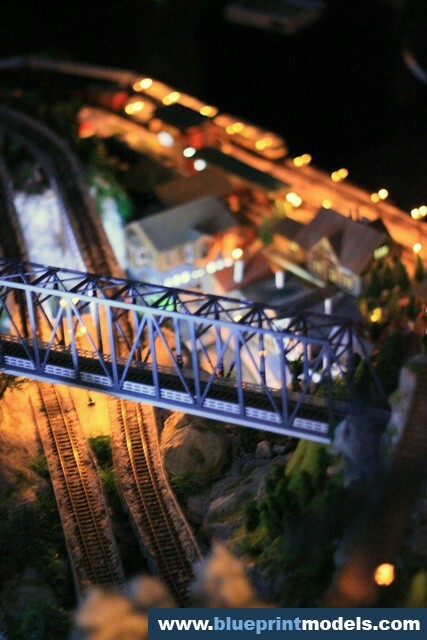 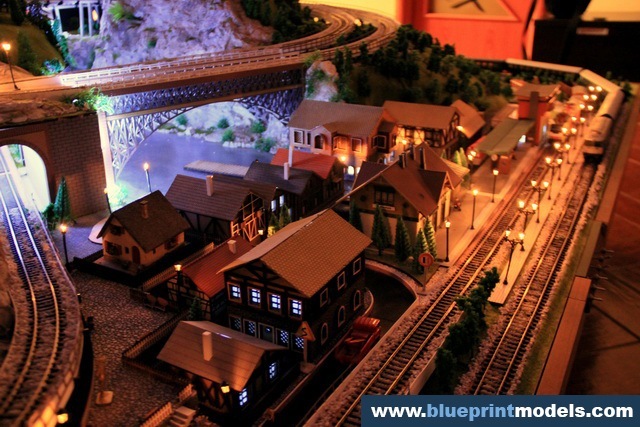 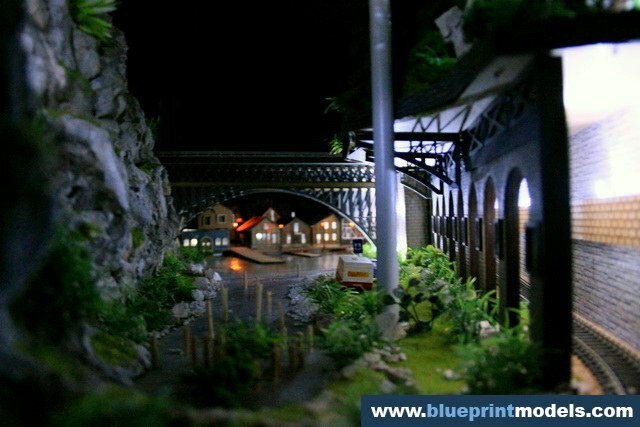 This train diorama was completed by our team over the course of several months and was one of the most complex projects we have undertaken so far. 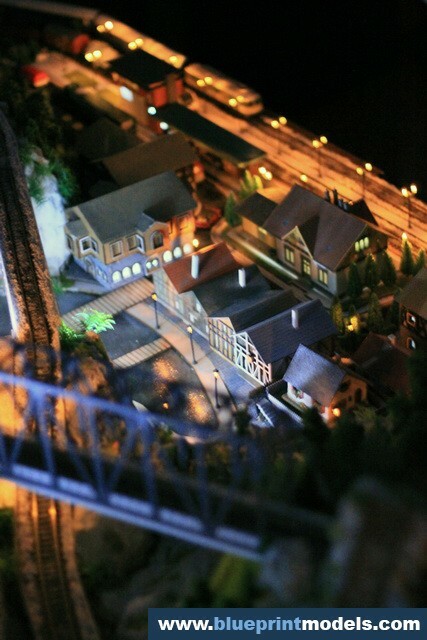 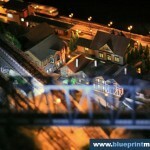 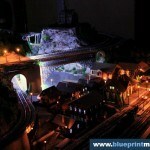 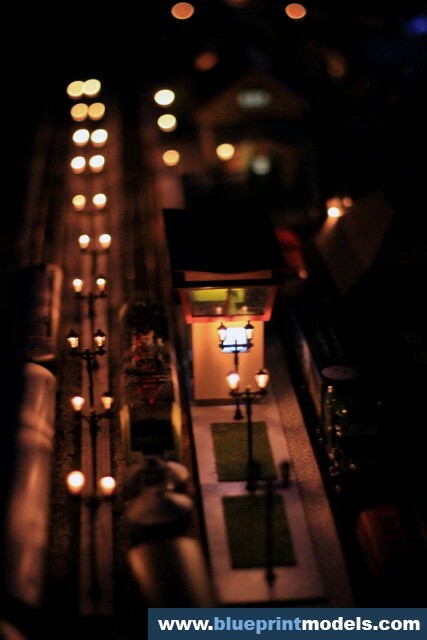 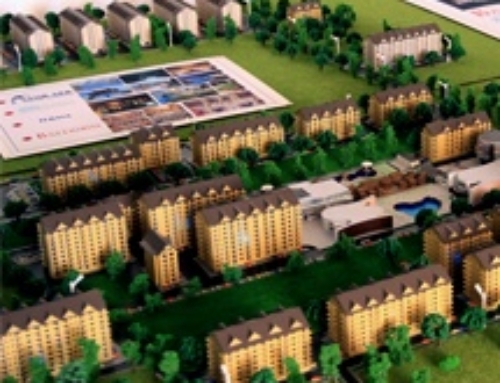 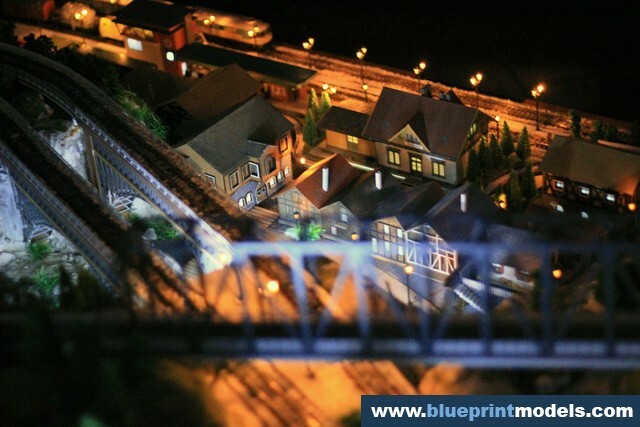 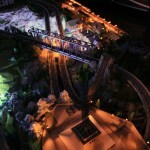 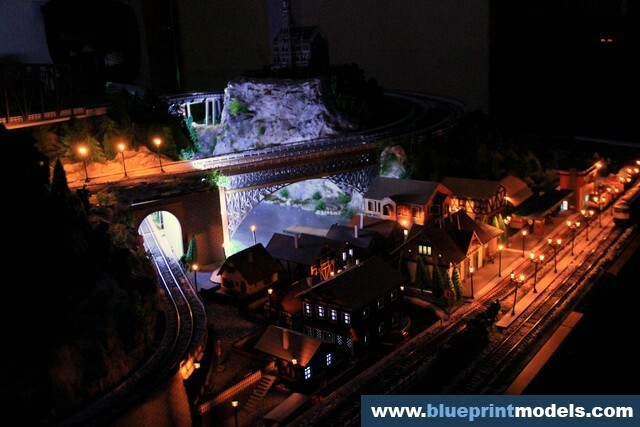 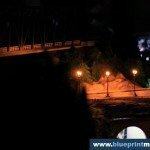 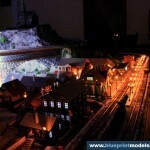 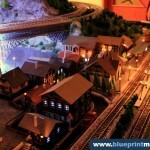 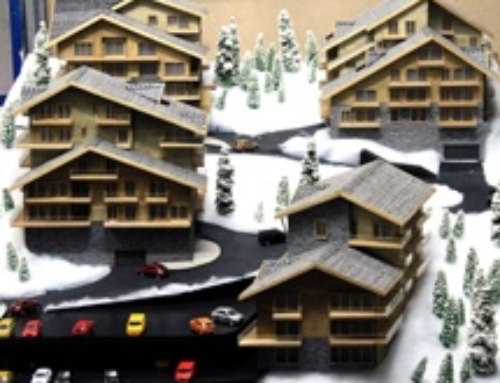 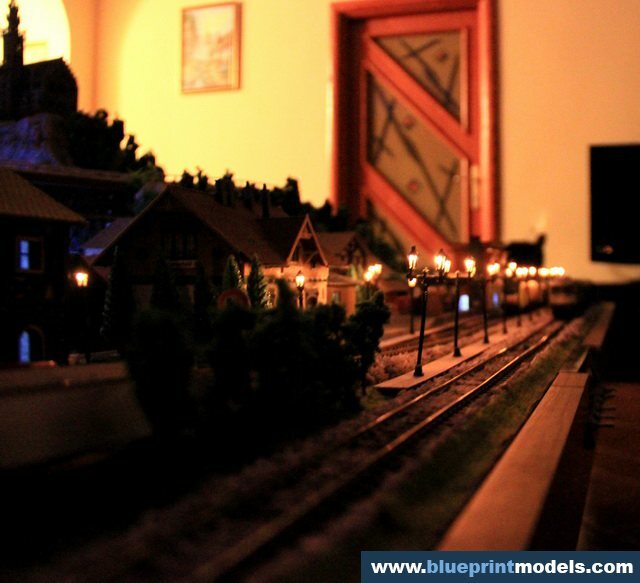 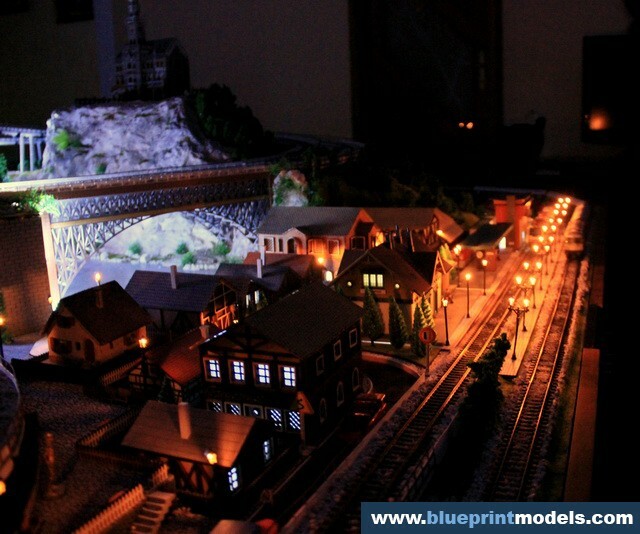 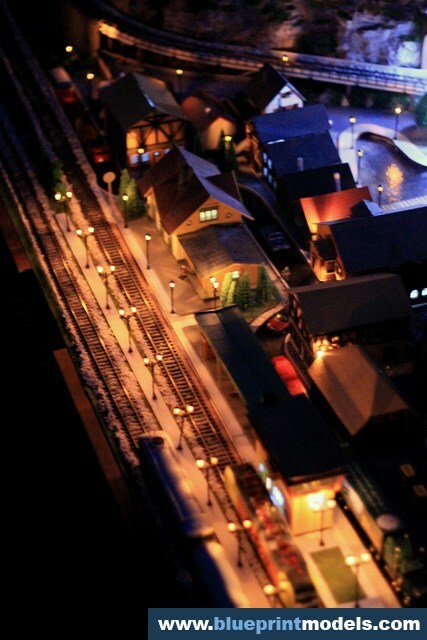 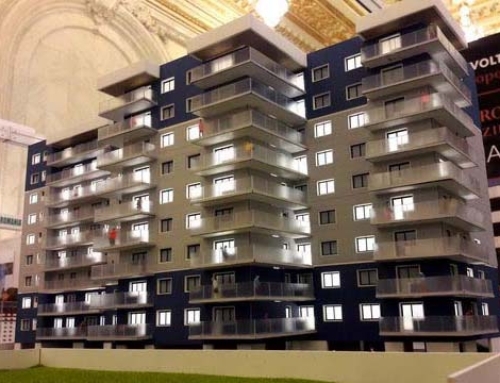 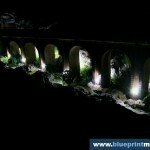 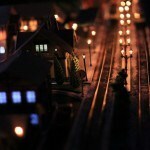 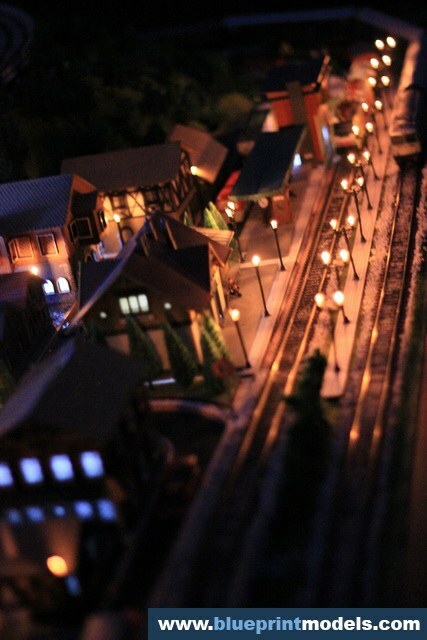 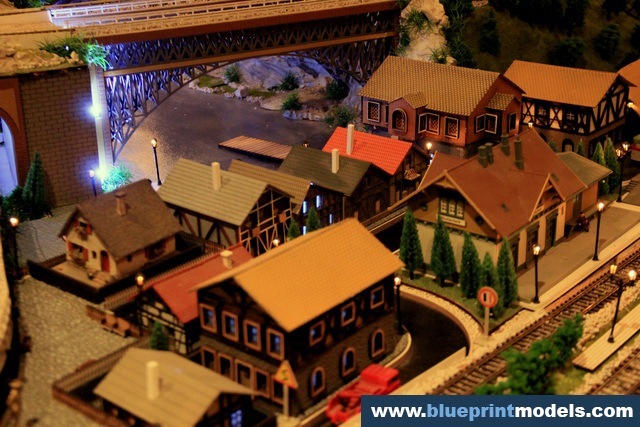 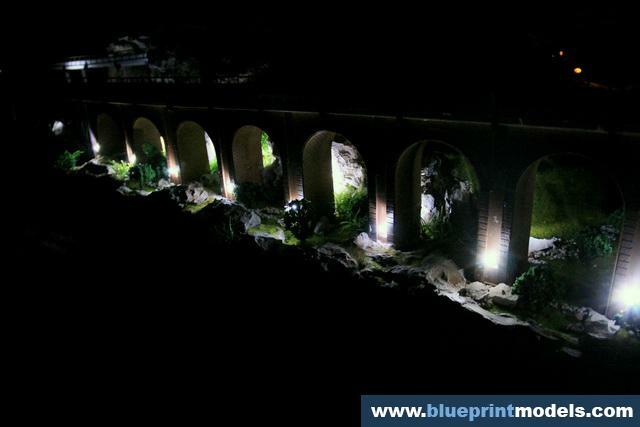 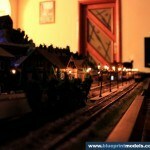 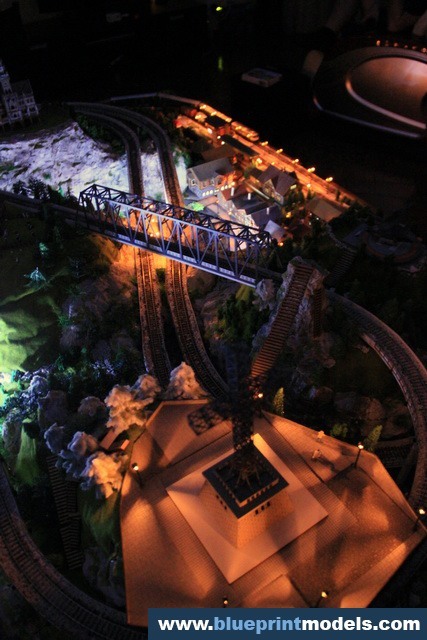 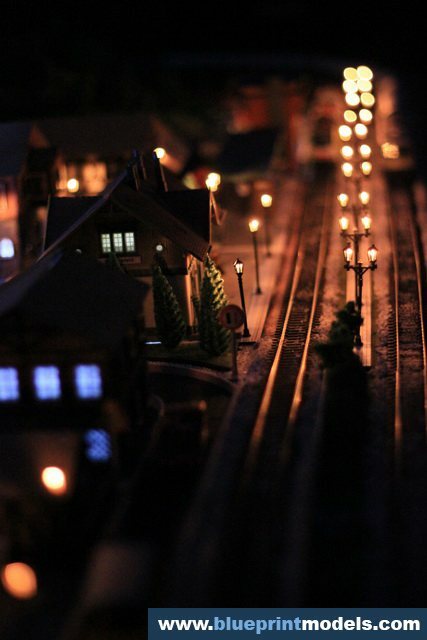 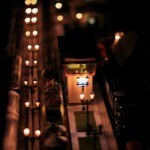 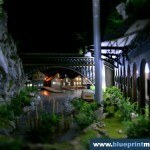 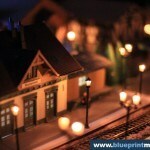 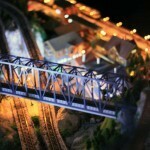 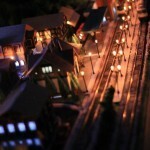 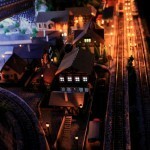 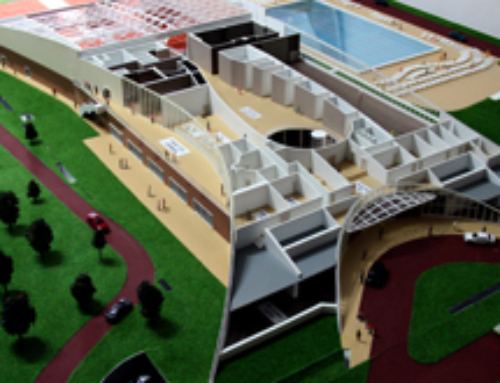 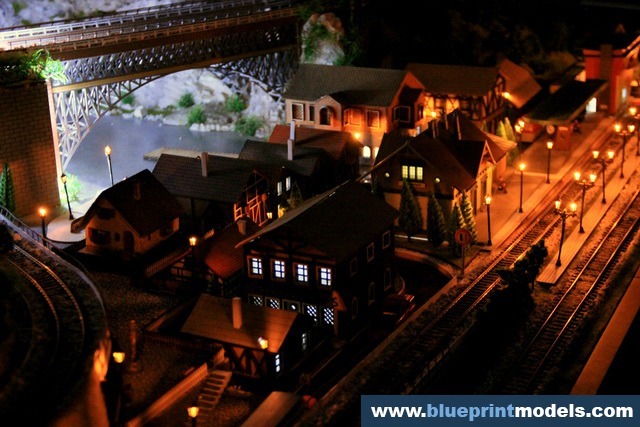 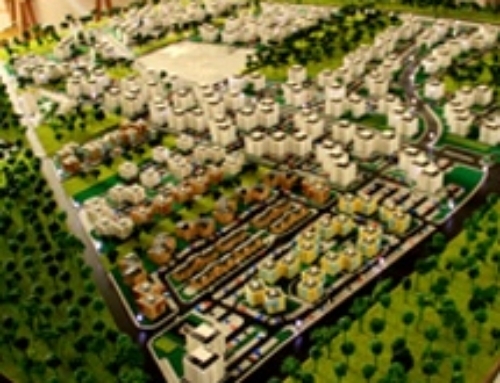 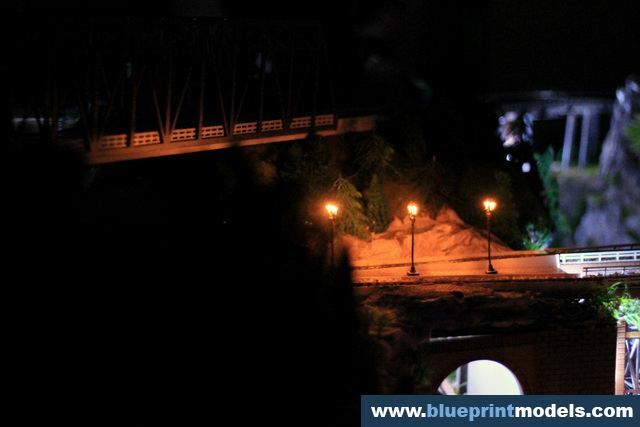 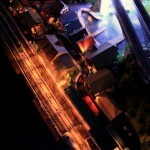 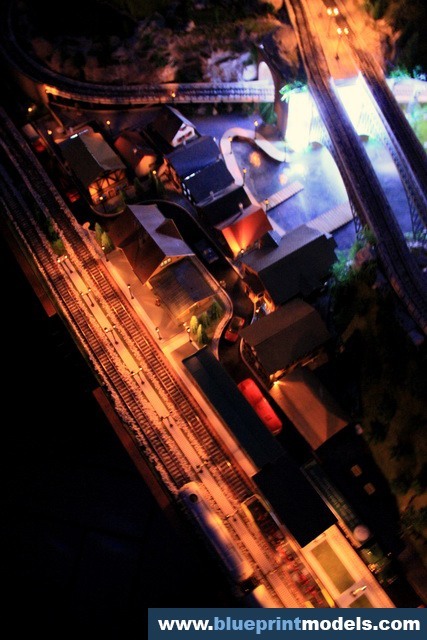 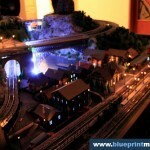 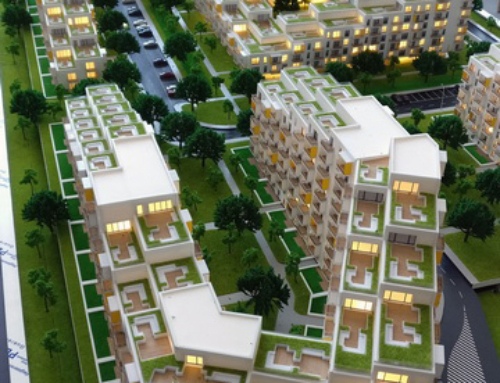 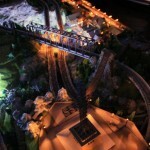 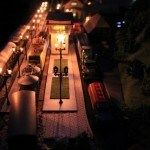 Below you will see several pictures of the model which aim to highlight the lighting system, in low ambient light conditions that recreate a night-time setting for the city and local landforms. 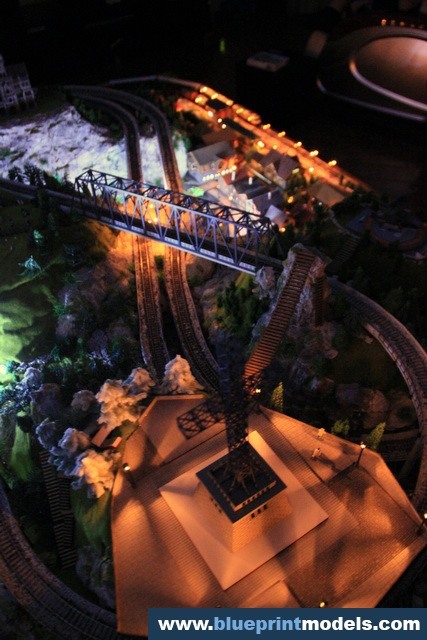 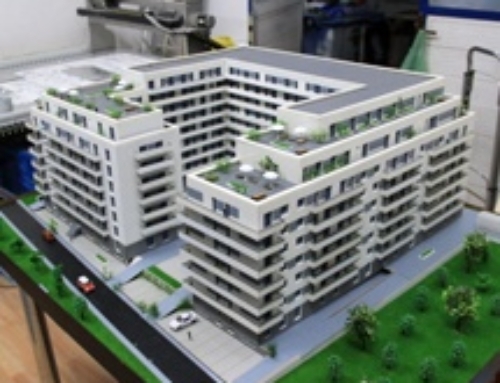 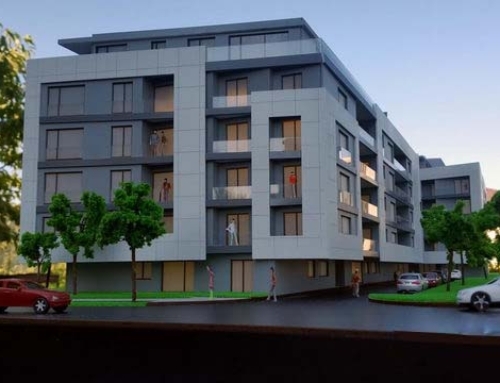 The scale is HO, and the model measures 2,80 x 1,60m. 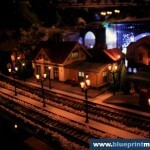 Other pictures, in daytime light, can be found HERE, and detailed pictures HERE.